Join the 90% of all major rodeos conducted in Australia by affiliating your event with the APRA. APRA rodeos attract the elite contestants from all over Australia. 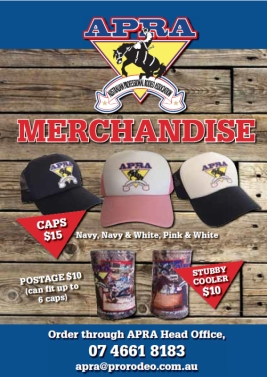 Formed in 1944 the APRA is the oldest established Rodeo association in Australia. Events advertised in monthly publication "Rodeo News". Full secretary pack including rodeo draws, gate lists and pre printed receipts for competitor entry fees. Full time office staff to cater to your needs. The APRA negotiates the most competitive and comprehensive Public Liability and personal accident insurance cover available. 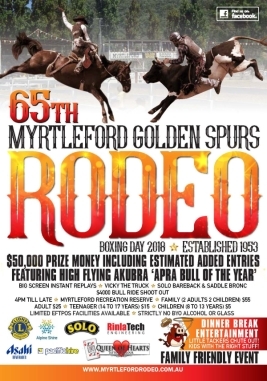 APRA rodeos boast the richest and most frequented rodeos in Australia. The APRA is the only association that conducts rodeos in all states and the Northern Territory. Recognised by the Animal Welfare Advisory Committee on a national basis as well as individual states. The APRA was largely responsible for introducing the Code of Practice for the Care and Treatment of Livestock used in rodeo. A Rodeo Committee information package is available for those committees interested in running a Professional Rodeo. Please contact us to arrange a copy.